A CPM delegation was denied permission to visit violence-hit Kaliachak in West Bengal's Malda district hours after a BJP team was stopped from going to the area by district authorities citing prohibitory orders today. "I along with my party leader was going to Kaliachak. It was pre-planned, but all of a sudden a huge police contingent stopped us. We were stopped at Amriti area of Malda, which is 35 km from Kaliachak. I told them that being an MP it is my duty to find the facts and talk to the people. But, they said they can't allow me," CPM MP Mohammed Salim said. But what is actually happening in Malda? India Today travelled to ground zero to expose the real story behind the violence in this Bengal town. Five days after the violence, the area is calm but it has now emerged that the flourishing illegal drug trade could be behind the violence. Police sources say that the violence on January 3 was masterminded by the drug mafia. They incited a mob to actually destroy criminal records of cases registered against them in the Kaliachak police station. This sounds more credible because the violence erupted almost a month after the alleged hate speech. Large scale opium cultivation is Malda's open secret. The illegal trade dominates the rural economy of the notorious Kaliachak block. Sources say that a large part of money from the cultivation goes for buying arms smuggled through the Bangladesh border. Is Mamata Banerjee guilty of minority appeasement? Is the Trinamool Congress eyeing Muslim votes ahead of Bengal polls? Is Bengal being pushed into Hindu-Muslim divide? Has Mamata Banerjee failed to act against Muslim groups linked to crime? Is Mamata Banerjee itching for a fight with the Centre over Malda? 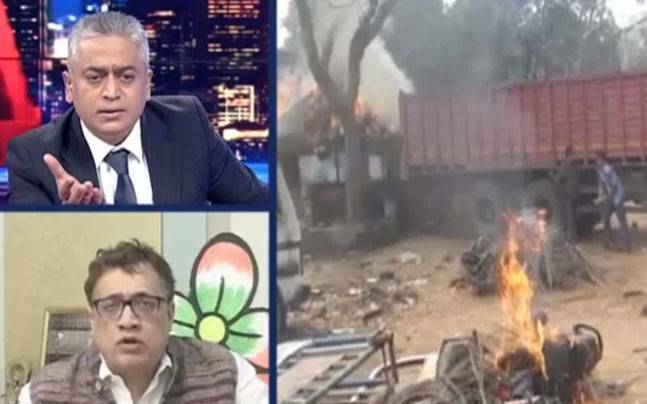 Trinamool Congress MP Derek O'Brien, however, said that Malda violence was because of a criminal issue. The TMC leader blamed the BJP and RSS of communalising the situation. "Criminals belong to no community but let me put the ground facts upfront. The situation was certainly tense, 10 people have been arrested. But the situation was handled well. There were no deaths. The BJP and the RSS hyped this up on social media," O'Brien said on News Today.